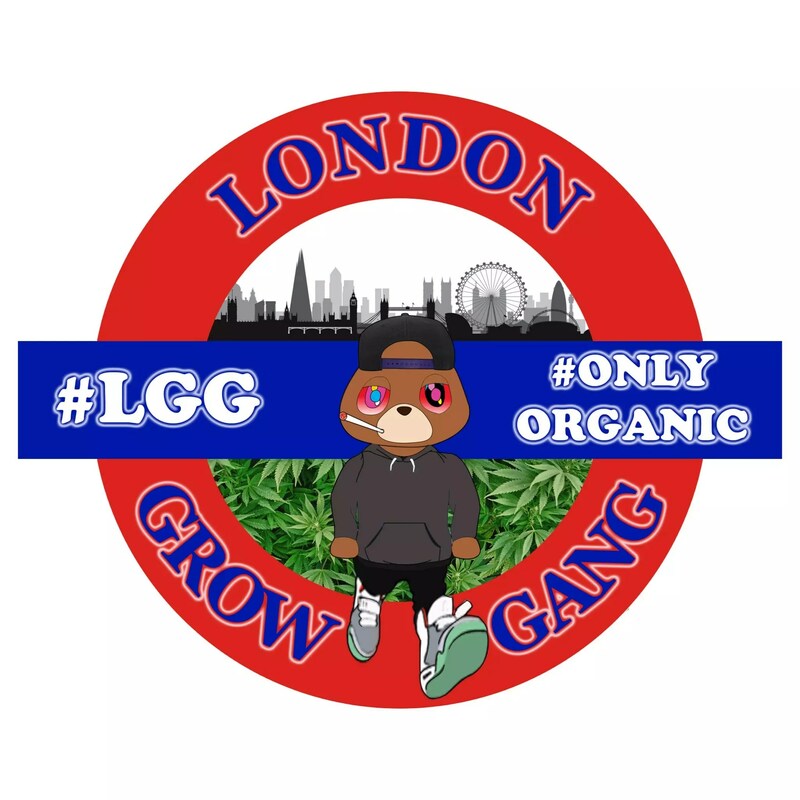 London Grow Gang is a Cannabis horticulturist who we had the pleasure of meeting recently at a Cannabis Social event in London. He’s a passionate grower, ensuring upmost quality in his strains and also carrying the tagline ‘Highly Organic’, which we thought was great. We also thought it would be great for our readers if we sat down to interview London Grow Gang to discuss Cannabis, the law and horticulture. Great to have you here at ISMOKE! How long have you been using cannabis? I have been smoking recreationally for the past 10 years, but have been using cannabis medicinally a lot more recently for the wide range of health benefits it can provide – I’ve also started eating edibles within the last year and think they are great. The edibles are great, and provide a healthy alternative to smoking, so we know what you’re saying. What is your favourite method of cannabis consumption? My favourite method of consumption has to be the classic spliff. For me nothing beats the feeling of smoking a nice spiff after a long day at work. Indeed, it’s a great way to switch off for the evening. How long have you been a horticulturist? I have been into horticulture from a young age, drawing my inspiration from my parents and grandparents who are keen gardeners. I think its something that is in my blood. I have been growing cannabis properly for about 4-5 years now. Great, and what got you into growing your own? A close friend of mine got me into growing when I was a teenager. After a few months of him growing in a wardrobe, he let me in on his little secret. He ended up showing me his grow and that was the first time I saw a cannabis plant in full bloom! That was it. After that, I knew I wanted to grow. I was only 15 and it changed the way I saw cannabis. The price for decent cannabis has rocketed in the last few years, and there is a lot of stuff on the market that isn’t clean, and this also played a big role in my decision to take up growing cannabis as a hobby – my buds were clean, I knew what was going into it, and I knew what I was smoking. We completely agree – one of the biggest dangers of cannabis aside from prohibition itself is not knowing whether someone has sprayed the bud with containments, which can include things like sugar or fibreglass, which obviously you don’t want to be putting in your lungs! What’s your favourite set up – au natural or a hydroponic system, and do you see advantages/disadvantages to both? My favourite setup is as natural and as organic as possible. Personally, I try to re-create the best possible scenario for the plant. Feeding it organically with a good flush halfway through the flower cycle always works well for me. I love the hydroponic scene and it does produce some great yields compared to soil, but for me, I’m always loyal to the soil. And what has been the best strain you’ve grown so far? This is an easy question to answer! The best strain I’ve ever grown is Candyland.v1, which was gifted to be by a friend a couple of years ago and boy this is the real deal. As a strain, It’s got everything you want. I cannot advocate Candyland.v1 highly enough. We hope that we can try some one day, it sounds delicious! Are there advantages between growing indica/sativa/hybrid plants indoors? There are a lot of advantages between growing indica vs sativa, the main one being the size of the plant. Sativas tend to usually grow a lot taller and are more narrow and less dense, compared to the indica plants which are shorter and bushier. Both have highs at opposite ends of the spectrum but in my opinion they’re both great. 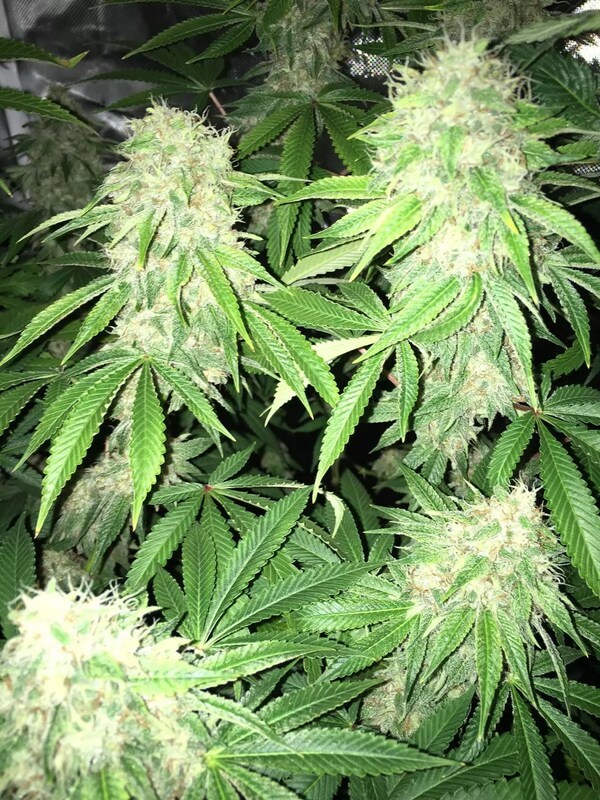 Growing Sativas it is easier to control the height of the plant and they make great plants for indoor growers. Hybrids have the best of both worlds – the “goldilocks” effect. Not too big not too small, but just right if you ask me. The hybrid cannabis strains around today are usually combining the best parts of sativa and the best parts of indica, so what you’re left with is an amazing plant, and that’s why I love hybrids. We love hybrids too! It’s great to get an insight from a grower for our readers who may be considering a grow in the future. Have you ever done a Gorilla Grow? Yes, I’ve done a gorilla grow before. It was next to an apple orchard so the soil was good quality. I planted four clones in April, watered them regularly, and three of them survived to be cropped! I did have some trouble with slugs, so I popped down some slug pellets around the plants, and after that it was plain sailing. The high from the outdoor plants I grew was quite different to the high from usual bud grown indoors under lights. It was long lasting, relaxing, and kept putting me to sleep. Have you ever tried growing auto flowering cannabis strains, and if so what was the difference compared to a normal grow? I tried out the auto-flowering variety a while back. I had some autos from Spain that were great, but what put me off was the plant deciding that it was ready to flower before I was ready to flower the plant. As a result the plant ended up smaller than I’d aimed to grow it, and therefore I was unhappy with the yield. For the first-time grower who is still getting to know their way around the cannabis plant, I’d highly recommend them. 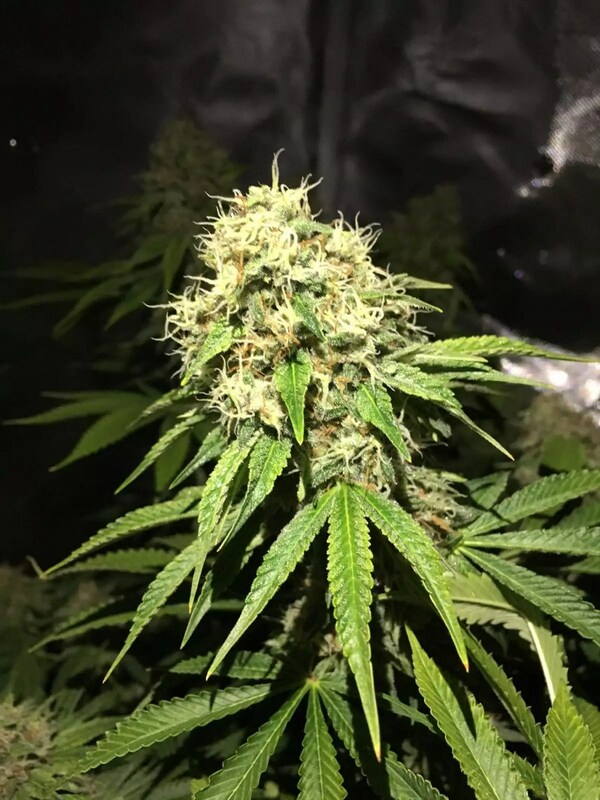 For me personally, I always prefer to be in control of the photoperiod, as this allows me to make the plant big and strong before I flower her. That’s great info. What tips would you give readers who may be thinking of setting up their own grow? Practice makes perfect! The more you grow, the better you’ll get. A lot of first time growers are unsure on what to feed the plants because there are soo many different things on the market. What I’ve found is that you cant go wrong with rain water – the plants love it! If you can, try to replicate what the plant would be going through naturally and then you should be onto a winner. Last but not least… Youtube! There are a lot of growers with plenty of experience active on the web, with useful tips and techniques in both text and video format. Thanks for the grow tips. What is your opinion on current UK Cannabis Laws? My opinion of the current uk cannabis laws is that there shouldn’t be a law prohibiting cannabis. Cannabis is a plant, a weed, a herb. The reason we have this law is because of scaremonger tactics and old propaganda, and it is a way for the government and big pharmaceuticals to cash in on the everyday person. There are 60,000 + uses of hemp/cannabis plants – from making plastic bottles that biodegrade within 40days, to fuel to power our cars and lots more. I haven’t even touched on the health benefits yet – from killing cancer cells, to stopping seizures, and lots more, the possibilities form this plant seem to be endless. So how can something with all these great benefits and healing properties be illegal? That’s why I choose to ignore this law – I am not committing any wrong doing by ignoring it. It’s a plant – buds, a bit of foliage and some roots at the end of the day. Again, we completely agree, and it is something we have written a lot about on ISMOKE as we fight to legalise cannabis in the UK. Do you see a law change on the horizon? I do see a change on the horizon, but I think that we are still years away from it, and it won’t come easily. It will take a lot of time before the UK catches up to countries like Holland, Portugal, Spain USA, Canada, Germany and all the other countries currently relaxing cannabis laws worldwide. The truth behind it is that its all money motivated at the moment. Once the Government wakes up and realises that they can cash in just as much if not more once cannabis is legal then I think the change will happen. In an ideal country where cannabis was legal and in the eyes of the law you were doing nothing wrong, where would you Cannapreneurial spirit take you? For me, I have tropical roots, so I’d have to go somewhere like Fiji to live the tropical island dream. White beaches, blue crystal clear waters, palm trees, coconuts. Paradise in a picture basically, spliff in hand, walking with the sand in between my toes along the beach watching the sunset. It’s been great having you here London Grow Gang, thanks for stopping by. Disclaimer: London Grow Gang does not grow his cannabis to sell – it is for personal consumption and for medical use only. Next articleResponding to drug harms: Can the UK learn from Portugal?